2/4th Battalion August 1914 formed at Croydon as second line unit. November 1914 attached to the 2nd Surrey Brigade in the 2nd Home Counties Division (from November 1914 the 200th (2/1st Surrey) Brigade in the 67th (2nd Home Counties) Division). 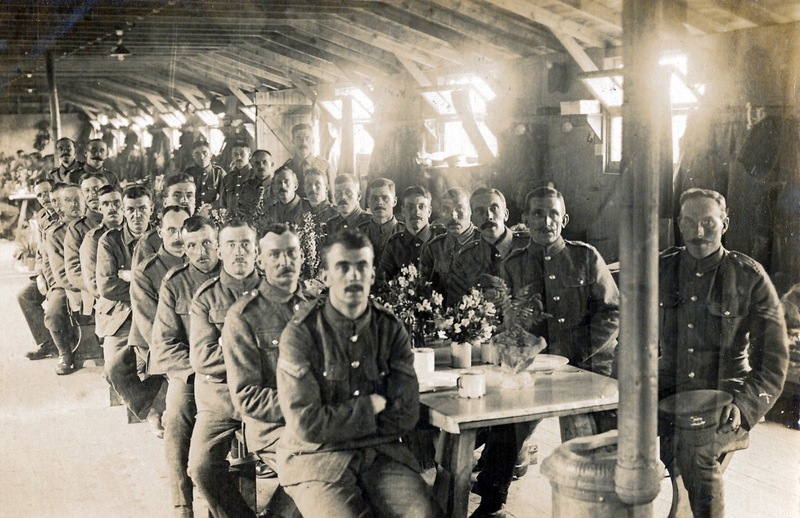 April 1915 moved to Cambridge, attached to the 160th (Welsh Border) Brigade of the 53rd (Welsh) Division, initially joined as a composite unit with the 2/5th Battalion but restored to become the 2/4th Battalion again after two months. Moved to Bedford. Left Bedford in July 1915 and sailed from Devonport, landing at Suvla Bay, Gallipoli on 9 August. Moved to Egypt in December 1915 and fought in Gaza, reaching Jerusalem in 1917. Moved to France to fight on the Marne and join in the final offensive, joining the 101st Brigade of the 34th Division at Proven, Belgium in June 1918. Ended the war at Courtrai, Belgium.